Since 1998, the melting ice from the ice fields in Patagonia has contributed to around 2% of the global annual sea level rise. The region has experienced climate variability and more extreme weather events over recent years, such as intense Venezuelan rainfall (1999, 2005), flooding in Argentina (2000-2002, 2007), Amazon drought (2005), hail storms in Bolivia (2002) and the Greater Buenos Aires area (2006), the unprecedented Hurricane Catarina in the South Atlantic (2004) and the record hurricane season of 2005 in the Caribbean Basin, extreme floods in El Salvador (2011), Tropical storm Matthew in Venezuela (2010) and a series of floods in Colombia (2011). Predicted increases in temperature will severely affect this region and its arable lands. Significantly, 90% of Latin America’s agriculture is rainfed. A survey of rural populations in Peru found that changing rainfall patterns had a ‘severe’ effect on 53% of respondents’ ability to produce food. Other stresses compound the ability of this region to adapt to climatic changes. Demographic pressures as a result of rural to urban migration have led to unemployment and unsanitary conditions, resulting in the spread of infectious diseases. Additionally, over-exploitation is a threat to local production systems and has led to water exploitation and the mismanagement of irrigation systems. Similarly deforestation from agricultural expansion in parts of Argentina, Bolivia, Paraguay and Brazil has caused land degradation. Historically (prior to the 1970s) many Latin American countries were the destination for European migrants and had net immigration situation which has reversed in recent decades. The debt crisis of the 1980s led to the so called ‘lost decade’; industrialisation growth in the extractive industries and large-scale intensive agriculture were all economic drivers of migration. Flow followthe pattern of urbanisation and emigration to the EU. In 2006 a third of Argentines claimed they would emigrate if they had the resources to do so. In Ecuador the top destination of internal migrants is to newly deforested areas, which are sites of intensive agriculture and jobs. Conflict is another main driver of migratory flows, especially in regards to Columbians fleeing the violence caused by the FARC / government fighting. The number of government- registered ‘internally displaced persons’ (IDPs) in Colombia rose to 3.9 million in 2010/11, making it the world’s largest internally displaced population. The Intergovernmental Panel on Climate Change predicts that migration from the countryside to the cities will continue. Whilst there are inevitably a range of factors that lead people to migrate, the impact of climate change, especially if livelihoods are damaged, may intensify rural-urban migration. The significance of this is that urban areas will need to adapt to both climatic changes and an increase in population. Refugees International. (2012). Colombia: Two Years Under Water. [Online Video]. 27 March. Available from: http://bit.ly/13LfUDm. [Accessed 23 August 2013]. Oxfam Bolivia, 2009. 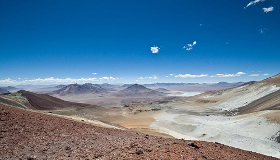 Bolivia Climate change, poverty and adaptation. 1st ed. La Paz: Oxfam. Faist, F; Alsher, S, 2009. EACH-FOR Environmental Change and Forced Migration Scenarios. Mexico case study report. 1st ed. Stockholm: EACH-FOR. Economic Commission for Latin America and the Caribbean, 2010. Climate change: a regional perspective. Unity Summit of Latin America and the Caribbean. 1st ed. Mexico City: ECLAC. World Bank. 2012. 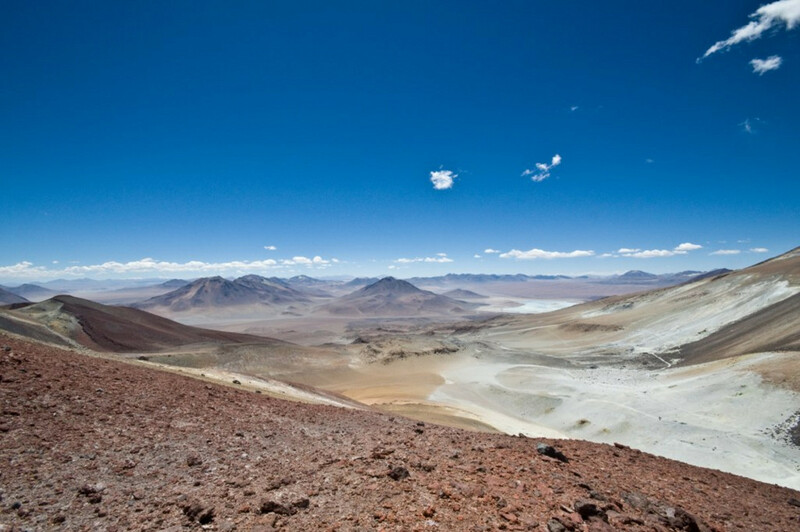 Climate Change: Is Latin America prepared for temperatures to rise 4 degrees?. [ONLINE] Available at: http://bit.ly/VEG3zP. [Accessed 23 August 13]. M.L. Parry, O.F. Canziani, J.P. Palutikof, P.J. van der Linden and C.E. Hanson (eds) (2007). Contribution of Working Group II to the Fourth Assessment Report of the Intergovernmental Panel on Climate Change, 2007. Cambridge, United Kingdom and New York, NY, USA: Cambridge University Press, Chapter 13, 13.2.2. BBC News. 2011. Central America floods and landslides ‘leave 80 dead’. [ONLINE] Available at: http://bbc.in/pBYYMq. [Accessed 23 August 13]. Garlati , A, 2013. Climate Change and extreme weather events in Latin America: an exposure index. 1st ed. Washington: Inter-American Development Bank. Hoffman, M; Grigera, A, 2013. Climate Change, Migration, and Conflict in the Amazon and the Andes: Rising Tensions and Policy Options in South America. 1st ed. Washington: Centre for American Progress. Ho, Raúl, and Andrea Milan (2012). “Where the Rain Falls” project. Case study: Peru. Results from Huancayo Province, Junín Region. Report No. 5. Bonn: United Nations University Institute for Environment and Human Security (UNU-EHS). Internal Displacement Monitoring Centre. 2013. Colombia: Improved government response yet to have impact for IDPs. [ONLINE] Available at: http://bit.ly/qCC7y2. [Accessed 23 August 13].